Tinnitus, the perception of noise without external cause, can be a persistent and extremely annoying and problematic symptom, affecting sleep, nervous agitation, ability to focus, and quality of life. It is often linked to hearing loss, dizziness, vertigo, imbalance, or discomfort. Symptoms of sensitivity to loud or high pitch sound (hyperacusis) are reported in about 30% of chronic cases, and dislike of certain sounds (misophonia) are reported in 60%. Between 20 and 40 percent of more severe tinnitus sufferers experienced decreased hearing, inability to concentrate, and disturbed sleep. It is estimated that 17% of the population suffers from the symptoms of tinnitus, and 4% suffer from a more severe form. Clinically, the U.S. government reports that 5.7% of the population seeks serious treatment for tinnitus. Tinnitus noise may be perceived as high pitch or low pitch constant ringing, pulsing sound, wind noise, electric static, or other noise that is perceived in the absence of an external source of the sound. Scientists believe that we all perceive intrinsic noise, but that most of us have the ability to ignore it perceptually. For those of us that acquire a problematic perception of noise, the problem signifies that there is both something wrong that has started this noise perception, as well as something wrong that perpetuates the perception of noise. Treatment cannot focus on just one area, and must be designed around an accurate diagnosis. No single treatment protocol has demonstrated significant success in reducing chronic tinnitus, and a combination of treatment protocols may be necessary to reverse the symptom of chronic subjective tinnitus. As of 2015, there are no FDA approved pharmaceutical treatments that demonstrate effectiveness in therapy, and standard medicine still resorts to "managing" the symptom, but much research has shown that a persistent holistic treatment protocol will significantly reduce the perception of tinnitus and improve functional and structural problems in the brain that perpetuate it. Chronic subjective tinnitus is now considered almost certainly the result of dysfunction in the brain. Modern testing of the brain function with magnetoencephalography has revealed how dysrhythmia of neural signals between the brainstem and the cortex creates the subjective perception of ringing tones after an acute episode of disease or trauma to the auditory system. In 2015, tinnitus experts in 4 countries, from the University of Texas at Dallas, U.S.A., the University of Regensburg, in Germany, the Dunedin School of Medicine of the University of Otago, in New Zealand, and the University of Buenos Aires, in Argentina reported that: "the disorder (of tinnitus) is accompanied by functional and structural brain abnormalities in distributed auditory and non-auditory brain regions" (PMID: 26373470). In 2012, the Interdisciplinary Tinnitus Clinic of the University of Regensburg, Germany, reported that "While many different treatments are used in clinical practice, the evidence for the efficacy of these treatments is low and the variance of treatment response between individuals is high." (Journal of Psychosomatic Research 2012 Aug:73(2);112-21). The American Tinnitus Association reports that of the 9 tinnitus treatment methods currently tested and assessed, hearing aids and music achieved the highest reports of amelioration of subjective sound, although no current standard treatment method achieved more than modest benefit with a wide variance in success among individuals. While acute objective tinnitus may be easily treated, chronic subjective tinnitus often presents much frustration for the patient. Complementary and Integrative Medicine and Traditional Chinese Medicine (CIM/TCM) presents a promising array of treatments that may restore health and function to the brain, and each year this CIM protocol is refined to address specific aspects of the disorders involved. Often, a restoration of neurovascular damage and inflammation first needs to be addressed, and then a step-by-step protocol to restore CNS functions and health. Will acupuncture stimulation by itself in a course of infrequent treatments cure chronic subjective tinnitus? This is unlikely, yet it often helps resolve acute objective tinnitus in the early stage, and combined with a thorough and individualized step-by-step holistic protocol as described in this article, will have great success eventually even in the most difficult chronic cases. Do you need to find some miraculous acupuncturist to provide this protocol. No, you just have to be proactive and make sure that the right course of therapy is administered along with your efforts at home with simple hearing device and sound therapy. CIM/TCM tinnitus treatment is evidence-based and will work if you are persistent and utilize short courses of frequent acupuncture stimulation along with the right course of herbal and nutrient medicine that eventually improves brain health and function. The main consideration of treatment for tinnitus sufferers is whether you want to just utilize masking devices to decrease subjective chronic tinnitus, or whether you also want to integrate holistic protocols to also restore function and health to the brain. No single treatment has demonstrated great success, and even modest success varies considerably between patients, but Complementary and Integrative Medicine (CIM) provides the patient with the potential to gradually reverse the CNS dysfunction, and correct potential underlying causes, which are important considerations in the long run. The only side effects of a comprehensive treatment protocol of acupuncture, herbal nutrient medicine, and physiotherapy is improved overall health and prevention of future disease. Treatment considerations are not total and immediate cessation of tinnitus, which is unrealistic, but a gradual improvement. The frustrating problem with tinnitus is the broad array of health problems that can cause this symptom. Often, to fully diagnose the problem, a number of expensive tests and exams must be completed, and even then, a majority of patients will end up with no diagnosis (idiopathic), or a diagnosis of exclusion (measurable and testable problems are not apparent and so we will make an educated guess). Since the tinnitus is very annoying and agitating, the last thing that the patient wants to hear is that we don't know what is wrong with you and we don't know what to do exactly to fix it. The patient is often told that they just have to live with the tinnitus and hope that it goes away. At this point, the patient must come to the conclusion that there are therapies that will work, but that it is up to the patient to persist with diagnosis and treatment. The patient should be reassured that the tests administered so far did not come up with answers, since the first diagnostic tests administered are performed to rule out serious health problems, such as cancerous tumors, cardiovascular threat, etc. The array of problems that are left untested usually point to a more subtle, complicated and chronic underlying imbalance, and often involve both chronic tissue problems, and a problem with the regulatory centers in the brain, sometimes with a neurohormonal aspect. Complementary and Integrative Medicine may help patients with a mild problem, an acute problem, or a serious chronic problem. Intensity of subjective tinnitus may be reduced for about a fourth of sufferers with a professionally fitted hearing aid or a masking device, but this does not address the dysfunction and dysrhythmia in the brain. Complementary Medicine offers a variety of treatment protocols and addresses the underlying causes and CNS dysfunctions as well as the manifestation of the symptom of tinnitus. Acupuncture, herbal and nutrient medicine, and even physiotherapies, may be effective, but the positive effects may occur after one treatment or many, and often depend on narrowing the diagnostic possibilities and spending the time to solve the health puzzle. Recent studies in Asia (cited below) show that treatment success is often seen months after the course of therapy due to the nature of the disease mechanism. A 10 treatment TCM course is recommended, and combining therapeutic protocols that benefit brain health and function may increase the chance of success dramatically. The choice of physicians by the patient is thus very important, and choosing physicians that are knowledgeable and spend the time to solve this often difficult health problem is the key. "The key to relief from tinnitus is the understanding that tinnitus is a symptom, not a diagnosis, and that often diagnosis is problematic, but that both the symptom relief and improvement of relevant diagnosed conditions are important. Experts agree that attention to dietary, nutritional, chemical, hormonal, immunological, and stress factors may all be involved directly and must be evaluated and considered in a treatment regimen that is individualized and persistent." The patient must understand that tinnitus is a symptom, and the term tinnitus is not a diagnosis. Modern medicine lists 128 potential causes, or diagnoses, of this symptom called tinnitus, and often offers no effective treatment. The patient must understand that to effectively treat persistent severe tinnitus, narrowing the diagnosis, or cause, and persistence with therapy is the key. Secondly, the patient must understand that not only must the cause, or origin, of the tinnitus be revealed and treated, but also the manifestation of the health problem, or underlying dysfunction in the central nervous system. Allopathic medicine offers a number of therapeutic choices, and if a tumor or cardiovascular problem, or an infection, can be solved with these treatments, they may be effective. If not, adaptive therapies may also be effective. Often, none of this turns out to be effective, and this is where Complementary Medicine offers a variety of treatment opportunities that are not available from standard allopathic medicine. This article provides the patient with the understanding of the underlying pathophysiology of tinnitus so that they may understand how to best proceed with the difficult task of restorative treatment. A number of pharmacological drugs may cause or worsen tinnitus. These include aspirin, NSAIDS (ibuprofen, naproxen et al), certain antibiotics (e.g. Cipro, doxycycline, gentamicin, erythromicin, tetracycline, tobramycin, vancomycin), anti-anxiety benzodiazepines (diazepam, lorazepam, clonazepam, alprazolam), certain anticonvulsants (Tegretol, Depakote), tricyclic antidepressants, loop diuretics, antimalarial drugs, and certain cancer drugs. If one is taking any of these drugs, a discussion with the prescribing physician is warranted. The tinnitus may not be immediately effected by the stopping of the drug, though, as a more permanent problem may have been created or exacerbated. Tinnitus and the health problems underlying tinnitus have been treated successfully for many centuries in China, and over the whole world, with a combination of acupuncture, herbal medicine, nutrient medicine, and even physiotherapies where applicable. Complementary and Integrative Medicine offers a number of effective therapies and a thorough unique diagnostic assessment. Therapies from the California Licensed Acupuncturist may include acupuncture, herbal medicine, nutrient medicine, physiotherapy, therapeutic instruction, and focused cognitive training, combined in a package of care. Because the diagnostic presentation can be so varied, and the treatment choices of the Licensed Acupuncturist broad, success with these therapies may be quick or take some time to produce results. The patient must keep in mind that tinnitus is a symptom, and not the disease mechanism itself, and noticeable improvement may only come after the disease mechanism, or cause of the tinnitus, is resolved, and then sometimes only after the problems with the central nervous system are also set straight. All modern health authorities recognize that there is no proven effective treatment for tinnitus. A multidisciplinary treatment is recommended with a careful evaluation of the history and pathology to better individualize treatment. Since the findings of a central cause of chronic subjective tinnitus, a number of medications have been suggested in treatment that affect the central nervous system neurotransmitters. Antidepressants, such as Mirtazapine (Remerol), and Nortriptyline, are prescribed off-label, as are benzodazepines, such as Alprazolam, ironically enough, as benzos and tricyclic antidepressants have been cited as a potential cause of tinnitus for decades. These drugs are not approved as safe and proven treatments by the FDA. Adverse 'side' effects are often problematic in such treatment over time. Neuromonics is the first FDA approved treatment for tinnitus in the United States, but studies of success provide a wide variance of successful outcomes, often dependent on treatment of tinnitus with specific underlying health problems. A Neuromonics device is used like an iPod, with customized sound and music to desensitize the patient to the perception of subjective tinnitus. Further research is investigating the use of a transcutaneous vagal nerve stimulator, now used for intractable epilepsy, along with the neuromonics device, although this will take some years to demonstrate efficacy and long-term safety. The trancutaneous vagal nerve stimulation (tVNS) increases the levels of norepinephrine and GABA via feedback, and may have some effect on immune cytokines, and is achieved by inserting a small device that is battery powered under the skin. Studies of the effects of transcutaneous vagal nerve stimulation to treat intractable epilepsy, in 1999 at Emory University School of Medicine, found that in a small human clinical study that frequency of seizure activity changes ranged from a 71 percent decrease in frequency, to a 12 percent increase, suggesting that this therapy may be beneficial for a subset of patients (Neurology Apr 1, 1999 (52): TR Henry et al). Surprisingly few adverse effects were seen on heart rate, blood pressure, or other vagally mediated functions with use of tVNS, but studies did show that some patients experienced hoarseness, coughing, pain and paresthesia during the stimulation (Neurology Sep 11, 2001, 57(5), 885-6). There is currently no FDA-approved drug treatment for tinnitus. When the patient goes to their medical doctor to assess tinnitus, the M.D. will perform a number of tests to rule out the most obvious and the most threatening of the 128 potential causes of tinnitus. If nothing is uncovered from these initial tests and exams, the patient is sent to a specialist, called an otolaryngologist, or 'ears, nose and throat' specialist. More tests and exams are performed to rule out more of the obvious or threatening potential causes. The specialist should determine first if the tinnitus is objective or subjective by listening at the ear with a stethoscope or other device. If the tinnitus is objective, or heard by the specialist, there is a mechanical tissue problem at the ear causing the perception of noise. This type of tinnitus is rare. To rule out threatening causes, CT scans, blood tests, etc. will be performed. In recent years, because of the warnings of accumulative radiation from head CT scans, MRI scans are being used, but in 2016, a meta-review of guidelines for these tests by experts at Northwick Park Hospital in London, U.K. showed that there was very little agreement on the diagnostic criteria for performing these tests in appropriate patient groups (PMID: 27340992). The nature of the symptom and the wide array of potential causes, which would require more diagnostic time spent, hampers a clear diagnosis, and thus development of effective treatment protocols. Expert diagnosis with modern medicine may be only the first step to understanding the problem and restoring health, and the emphasis may be on ruling out serious causes only. Since there are no FDA approved drugs found effective to treat tinnitus, standard medicine may not pursue the actual diagnosis thoroughly, and often will resort to a one-size-fits-all treatment protocol that is inappropriate. Often, with tinnitus, not only is the patient tested, but the patience of the patient is also tested. If the tinnitus sufferer steps back and looks objectively at the situation, he or she realizes that patience and persistence may be the key to alleviating the symptoms, as well as finding and correcting the underlying cause, when there are so many potential causes. Complementary and Integrative Medicine is always focused both on the symptom and the correction of the underlying cause, which defines the approach in holistic Traditional Chinese Medicine. Careful discussion and assessment of the possiblities of underlying cause takes time and is important in Complementary Medicine, and any clear diagnostic findings from a specialist should be brought to the clinic to aid in this diagnosis and selection of individualized step-by-step treatment protocol. Scientific study has confirmed that significant relief may be obtained in 3 weeks with the right acupuncture course, but a more thorough course of treatment incorporating a variety of treatment strategies is a better guarantee of success, and success from this course of treatment may not be evident for months after the course of therapy. There is obviously a wide array of severity, chronicity, and variance in underlying causes in tinnitus, and thus a wide variance in the protocols for treatment. The evidence for acupuncture and other strategies is found on this website below, under Additional Information, as is the evidence of delayed treatment effect that is a hallmark of acupuncture treatment, meaning that the benefits may not be expected for some time after the short courses of frequent acupuncture are performed. If the symptoms are not relieved quickly with therapy, often a more prolonged course of therapy is needed to address the underlying causes, with persistence with herbs and nutrient therapy, improvement in overall health, and cognitive retraining. Even if the tinnitus is relieved, the smart patient will still continue to treat the underlying cause if it is a serious threat to future health. The failure of treatment for tinnitus with CIM/TCM is usually due to the lack of trust in the therapeutic protocol and failure to persist with treatment. Short courses of frequent acupuncture with a more persistent step-by-step protocol with individualized herbal and nutrient medicine, and of course cognitive retraining in chronic cases, presents patients with a sensible, inexpensive, and workable treatment protocol. One important early step that the patient needs to consider is to try to stop potential causes and aggravating factors, such as medication adverse 'side' effects, and perpetuating factors, such as nervous and emotional stress. There are a large number of medications that could cause or contribute to tinnitus, some acutely, and some via chronic use. Some of these medications could cause ototoxicity, and often the tinnitus could cease within a relatively short time after stopping these medications if underlying problems are also addressed. Hallmarks of ototoxicity are tinnitus in both ears, feeling of pressure in the ears, and awareness of a hearing loss in an unaffected ear. The patient should discuss these possibilities with the prescribing M.D. and come to a mutual decision as to the benefits and risks of temporarily stopping certain medications. It is well documented in medical texts that high doses of salicylates (e.g. aspirin), furosemide (Lasix, a diuretic), and other loop diuretics can cause intense, sometimes bilateral, acute tinnitus (Cecil's Essentials of Medicine), and aminoglycoside antibiotics (e.g. streptomycin), as well as other antibiotics (erythromycin and vancomycin), can destroy cochlear hair cells in direct relation to dosage or blood serum accumulation. Some chemotherapies (e.g. cysplatin) have also been documented to produce similar damage. Non-steroidal anti-inflammatory medicines are regarded as common causes, and there is rising concern of tinnitus caused by or aggravated by SSRI anti-depressants. Chronic use of hormonal therapies and other medications may contribute to underlying conditions often related to tinnitus. If this is suspect, the patient should discuss the possibility with the prescribing medical doctor. If the specialist exams and tests reveal the cause, Complementary and Integrative Medicine may offer specific treatment protocol that will complement, or aid, the standard treatment, if it is offered. There is currently no FDA-approved drug therapy, but specialized clinics offer an array of treatments with various success, such as neuromonics, cognitive behavioral therapy, or biofeedback. If these exams do not reveal a cause, Complementary Medicine may offer a time-intensive diagnostic approach and perspective that helps the patient uncover the probable disease mechanisms, and again, may offer specific courses of therapy to help resolve the problems. Unless the standard tests and exams reveal a cause that can be treated allopathically, such as surgical removal of a growth, cleaning of the outer ear and eardrum, etc., modern medicine often offers no effective therapy for persistent tinnitus. Often, the modern medical approach is to wait and see if the tinnitus resolves spontaneously without treatment. Treatment with acupuncture and herbal medicine may be effective if the problem is acute and related to ear infection, inflammation, trauma, or other acute problem. If the tinnitus is chronic and the cause is difficult to determine, of course the treatment will be more difficult and quick results are seldom expected. There is no FDA-approved drug treatment for tinnitus, and no single therapeutic aid is proven to work consistently in large controlled trials, although much anecdotal evidence supports the use of adjunct acupuncture therapy for a percentage of patients. With standard medicine, if the tinnitus symptoms do not resolve in time on their own, specialty clinics may be suggested to perform adaptive therapy, although this is often not covered on standard insurance plans. Tinnitus Retraining Therapy, or Neuromonics Tinnitus Treatment, is one example of an adaptive treatment, and cognitively retrains the patient to adapt change in conscious and subconscious reflexes that may be responsible for evoking inappropriate connections between the limbic system and the auditory system in the brain. Changes in cognitive focus, and often autonomic nerve reflexes, are stimulated by cognitive therapy combined with behavioral exercises and devices such as sound generators. With the subclass of chronic severe tinnitus sufferers, claims of success of these therapies for those that persist with the treatment is reported to vary from 32 to 92 percent, but varies with the type of patient and underlying presentation. The underlying mechanisms here may relate to neuroendocrine imbalance, such as chronic hypothyroid conditions, side effects of chronic medication use, adrenal stress syndrome, chronic exposure to high decibel industrial noise, Meniere's disease, or apparent psychologic disturbance. These therapies are based upon research that shows that chronic tinnitus is often related to deeper neurological pathology that is related to the limbic system, a portion of the brain that is involved in both emotional responses and memory, as well as hormonal or endocrine function. What does this tell us? It reveals that chronic tinnitus may be related to a broader neuroendocrine health problem, and may thus benefit from a more holistic approach to restore healthy balance and relieve the symptoms. The various therapeutic approaches that may be needed to relieve the patient that is afflicted with serious tinnitus include treatment strategies addressing dietary, nutritional, chemical, hormonal, immunological, and stress factors. Acupuncture, herbal medicine, nutrient medicine, and physiotherapy, may all address these various contributing factors, and a complete package of care is recommended for this difficult disease symptom. While current studies of acupuncture alone have not demonstrated dramatic effect, a more holistic approach to therapy is likely to produce benefit. Harvard Medical School does promote acupuncture as a choice of studied treatments, with a recommendation that electroacupuncture of the ear, scalp or distal trigger points be used. Effective choice of therapeutic protocols is thus very important, and the choice of a competent Licensed Acupuncturist may be the key for the patient. With a symptom like tinnitus, which could be related to as many as 128 underlying diagnoses, the patient benefits from increased understanding of the possible diagnoses so that he or she may present the most pertinent diagnostic facts to the physician. Complementary Medicine and acupuncture can provide dramatic relief of this symptom, but often only when the physician and patient arrive at a logical assessment of possible underlying causes. An holistic approach to treatment is obviously needed. Modern TCM physicians have divided the potential causes, or diagnoses, underlying the symptom of acute tinnitus into three main categories. This classification mirrors the system of differential diagnoses used for centuries in China with the practice of Traditional Chinese Medicine. Tinnitus has been treated successfully, and these treatment strategies documented, by TCM physicians for thousands of years, but the types of treatments used, from selection of acupuncture points to selection of herbal formulas, depends on the correctness of diagnosis. The three categories of diagnoses are 1) congestive accumulation of cerumen or endolymph, usually associated with inflammatory heat or emotional agitation; 2) nerve occlusion, perhaps associated with transitory ischemic attack, carotid or vertebrobasilar artery pathology affecting adjacent auditory nerves, or looping of small arteries around acoustic nerves, as well as neuroma or tumor; and 3) kidney/adrenal or thyroid deficiency, which are believed to be causative of tinnitus due to poor regulation of metabolism and tissue maintenance. Of course, the first category, which includes aftereffects of ear infection as well as Meniere's disease, would be easiest to treat, involving a more focal ear pathology. The second category involves treatment of both the vascular health and tissues of the central nervous system, a more difficult problem. The third category involves treatment of the endocrine system as well as potential chronic kidney dysfunction, and involves attention to overall health and regulation in the body. This third type of cause is typical with chronic tinnitus, and usually involves a prolonged course of therapy. The most prevalent causes of acute tinnitus are related to congestion or swelling of the inner ear tissues. Allergies, deep viral infections, overgrowth of fungi, yeasts, etc. such as aspergillus niger or candida albicans, or even psoriatic and eczematous conditions can all cause swelling and congestion. Sometimes the congestion causing tinnitus occurs well after the viral infection, causing the cerumen (ear wax), or endolymph (lymphatic drainage), to accumulate in the inner ear due to improper flow or drainage. An exam of the outer ear and eardrum may be unremarkable, and yet this congestive problem may still be present. Meniere's disease is an example of congestive accumulation of endolymphatic drainage that may occur well after a causative event, and cause sensorineural hearing loss rather than the conductive hearing loss seen in middle ear swelling. Nerve occlusion, or pressure on the auditory nerve, may occur with swelling, trauma, or various vascular problems. Adjacent blood vessels may become enlarged with inflammation or atherosclerosis, twisted or looped, or a transient ischemic attack may cause vessel abnormalities that occlude the auditory nerve. Generally, CT scans will detect these problems and the right therapies prescribed. Besides acute care and standard therapy, Complementary medicine offers a variety of therapeutic options for cardiovascular health. These options should be discussed with a professional, such as a Licensed Acupuncturist and herbalist. Chronic tinnitus involves a functional problem in TCM, described in terms of Qi, the TCM term for energetic function. Most patient do not have a sufficient understanding of these types of diagnostic terms. In modern medical language, TCM physicians in China have thoroughly investigated both the specific CNS dysfunctions and disharmonies, and the specific effects of acupuncture and electroacupuncture on these areas of the brain involved in this dysfunction, which generates the subjective sound perception. Specific herbal and nutrient chemicals have also been heavily researched to correct metabolic and cellular dysfunction in the brain that may be associated with tinnitus. Some of this important research is documented with links to studies in Additional Information at the end of the article. Associated health problems often need to be addressed as well in a holistic treatment approach. Tinnitus is a problem with 7-29 percent of chronic hypothyroid patients. The causes of this problem are still unclear, but relate to potential metabolic problems, poor tissue repair, or even chronic use of thyroid medication. Many endocrine problems could result in these type of scenarios, or even neurohormonal problems that cause perpetuation of tinnitus by affecting regulatory centers in the brain. Oxidant stress and malondialdehyde toxicity is also linked to both subclinical hypothyroidism and tinnitus in recent years, and could be an important factor in explaining the high incidence of tinnitus in hypothyroidism. Kidney deficiency is another known association, creating a variety of metabolic problems, including electrolyte imbalance and acid-base imbalance. There is also a strong relationship between glomerular flow rate in chronic kidney dysfunction and atherosclerotic hypertrophy of the carotid arteries, which could present problems at the auditory nerve. Ototoxicity is a fairly common cause of tinnitus, with various drugs and environmental toxins shown to affect tissues of either the inner ear or nervous system, and often creating an eventual damage from free radical oxidant accumulation and tissue degeneration. This became a serious concern with the use of high dose streptomycin antibiotic for tuberculosis in 1944. This antibiotic caused dysfunction at glutamate receptors in the inner ear that led to both degeneration in the cochlear hair cells, as well as eventual oxidant excess and damage. Since this time, research has found a number of mechanisms of ototoxicity, with both acute damage and eventual damage, occurring well after discontinuing the drug. Early treatment and discontinuance of the ototoxic drug, or avoidance of the environmental toxin is important, as well as immediate and persistent use of antioxidants. A large 2016 population study at the University of California Irvine, and the Harvard Medical School, in the United States, showed that there was a clear association between tinnitus and anxiety, depression, shorter sleep duration, and more missed workdays (PMID: 27301552). Clearly, these health issues could be addressed with healthy CIM/TCM care, and that we need to look at this difficult symptom with a more holistic health view. Since anti-anxiety and anti-depressant medications are clearly able to cause tinnitus, or worsen it, and these same benzodiazepines and sleep medications are proven to be potentially harmful to brain health, simply popping more pills is not the sensible answer. Instead of polypharmacy, Medical Doctors finally need to acknowledge the proven efficacy of acupuncture, herbal, nutrient medicines, and physiotherapies, and quit pretending that their failure to integrate and utilize these therapies are not in the best interests of their patients, only in the support of their industry. The array of diagnostic possibilities is broad, and so, a patient is advised to choose their physicians wisely and stick with both thorough assessment and multidisciplinary holistic therapy until success is found. Persistence is often the key to curing or relieving tinnitus. The end result of this variety of causes, and some surmise that it is often a combination of causes creating this confusing pathology, is the hyperexcitability of the auditory cortex in the brain. Both a mild, or subclinical, endocrine deficiency, and an overstimulation of the auditory pathway, may result in a perpetuation of the perception of tinnitus, as well as other symptoms and hearing loss. Studies involving indirect stimulation of the auditory cortex in Germany with transcranial stimulation have proven that this may increase the metabolic activity of the cortex, and result in sustained improvement of tinnitus (see study cited below). Complementary medicine and acupuncture/TCM has long offered an array of therapies that work together to address these issues and to stimulate the auditory cortex via electroacupuncture. Several important studies in the last 20 years have localized the area in the brain responsible for the increased neurological signal that the patient perceives as subjective tinnitus. In the past, it was assumed that the abnormal neurological signal that is perceived as tinnitus originated in the ear, or in the auditory nerve as it emerges from the ear. While the primary problem may have been with the ear, the actual source of the abnormal neurological input into auditory centers, or nuclei, in the brain, that cause the perception of tinnitus, have been traced to the limbic system. We know that this is correct because patients who are deaf, and patients who have had the auditory nerve resected with trauma or surgery, still are afflicted with tinnitus. Thus, the perception of tinnitus must extend to causes beyond the ear and local auditory nerve. PET scans have also been utilized in study and confirmed that isolation of the nervous hyperactivity is located centrally in the brain, in the limbic system, but also appears to involve wide-spread neural networks. Once again, the patient must understand that the causative problem, or origin of the tinnitus, may exist in the ear and auditory nerve, and should be addressed therapeutically, but also that the perpetuation of the tinnitus signal, which is related to the central nuclei, especially the limbic system, must be addressed in chronic tinnitus. A comprehensive treatment strategy is very important, with persistence, for most cases of chronic tinnitus. Studies in 2013, at the Wakayama Medical University, in Wakayama, Japan, noted that chronic tinnitus is usually a subjective phenomenon, without a persistent objective stimulus. Using functional MRI studies, these researchers correlated activity in specific areas of the brain related to the tinnitus symptoms of perception of sound loudness, distress felt in response to sound perception, and depression related to tinnitus. Consistent with prior studies, the tinnitus loudness perception was not related to the emotional distress and depression. Specific areas of the brain related to the symptoms of tinnitus-related distress and depression included the bilateral rectus gyri, while the perception of tinnitus loudness was related to the bilateral thalamus, hippocampus and caudate. The anterior and middle cingulate gyri were negatively correlated with the tinnitus distress and depression. The left cingulate gyri were negatively correlated with tinnitus loudness (see study link below in additional information). Such study continues to show that reestablishing homeostatic modulation and functional status between parts of the brain is necessary to correct this chronic subjective tinnitus. Allopathic attempts to block specific biochemical pathways will ultimately fail. Fortunately, much research in recent years has found with functional MRI and other means of brain imaging, that specific acupuncture stimulation achieves modulation of these same areas of the brain, and restoration of homeostatic functions. Such research helps the TCM physician to better refine the types of acupuncture stimulation methods and the points used. To achieve the best overall effect, though, a restoration of neural cell membranes and neurohormonal immunological health should be incorporated into the strategy. More recent studies at the University of Regensburg, Germany, have used neuroimaging to study the focal areas of the brain affected in chronic tinnitus, and have discovered that the degree of distress, or intensity, in chronic tinnitus, is inversely correlated with the volume of grey matter (unmyelinated neurons) in bilateral auditory areas, such as the Herschi's gyrus (temporal lobe cerebral cortex) and insula (deep to the temporal lobe of the cerebral cortex), indicating a type of neurodegeneration (PMID: 23435735). Obviously, treatment to aid CNS regeneration is needed to ultimately correct tinnitus. More and more scientific study with functional MRI and other types of tests show that acupuncture does affect areas of the brain such as the insula in a modulatory and restorative manner. In 2015, study at the Kyung Hee University School of Medicine, in South Korea, with the University Tubingen School of Medicine, in Germany, showed that indeed stimulation at the common points P6 and H7 on the left wrist achieved restorative homeostatic modulation of the insula and related centers in the brain. To see this study, just click here: http://www.nature.com/articles... . This study showed that actual stimulation at the points, not just a superficial insertion of the needles, achieved these effects, as have other studies. Short courses of frequent stimulation with actual needle technique could be very valuable in the overall treatment protocol, and these 2 points could be just part of the whole point prescription. Such study provides the guidelines for treatment to assure success. Increasingly, the association between autoimmune pathologies and tinnitus is being explored, as the field of neurohormonal immunology gains greater respect. A 2013 study at the Department of Otolaryngology at Hospital Universitario Salamanca, in Spain, found that sensorineural hearing loss and vertigo are highly associated with systemic lupus erythematosus, suggesting an autoimmune component to many cases of audiovestibular dysfunction (PMID: 23423252). A 2013 study at McGill University, in Montreal, Quebec, Canada, found that autoimmune sensorineural hearing loss, characterized by progressive fluctuating bilateral assymetric tinnitus, with sensation of aural fullness in most patients, but varied presentations altogether, may perhaps be underdiagnosed, as this condition has been considered rare, and there are no specific diagnostic tests as of yet, merely a diagnosis of exclusion in response to corticosteroid medication (PMID: 23436581). We see from these studies that the treatment strategy may need to include an even broader array of aids to reverse neurodegeneration and possibly treat immune dysfunction. Aminoglycoside antibiotics are a cause of induced tinnitus that has been studied since 1944, when introduction of the widespread use of this class of antibiotics utilizing high dosage caused many documented cases of tinnitus. Since this time, modern medicine has of course limited the dosage, and altered the aminoglycosides, to achieve less incidence of tinnitus. Nevertheless, many experts still see the potential for aminoglycoside antibiotics as a cause of a significant percentage of tinnitus sufferers, even long after the antibiotic is discontinued. Exactly how this damage occurs is still a subject of debate, though, but understanding the pathway of damage could point to improved therapeutic understanding. Aminoglycosides are molecules that combine a complex sugar and amino acid, and work by disrupting bacterial functions, often inhibiting key protein synthesis. While the exact mechanisms are still poorly understood, these aminoglycosides cause errors in genetic synthesis with DNA and RNA, cause premature cell death, and disrupt the integrity of the bacterial membranes. Even low doses of aminoglycoside antibiotics continue to cause bacterial death after discontinuing use by irreversible binding to the RNA and degradation of the bacterial lipoprotein membrane. We see the potential for harm to the delicate membranes of the inner ear, as well as disruption of protein receptors, and the possibility that excess tissue damage could result in accumulation of free radical oxidants in tissue that is difficult to clear, because of the poor blood supply. In fact, disruption of the glutamate metabolism and receptors, has been well studied in this regard. The list of aminoglycoside antibiotics includes Gentamicin, Amikacin, Neomycin, Tobramycin, Dihydrostreptomycin, and most antibiotics whose pharmaceutical name ends in -mycin or -micin. Glutamate receptors are located on the nerve synapses, or connections. Glutamate is an amino acid that also serves as a neurotransmitter and is particularly abundant in the brain. Glutamate receptors are implicated in a number of neurodegenerative diseases. Dysfunction and imbalance of the glutamate metabolism in the brain leads to problems with the calcium channels, and overexcitation of nerve cells. Since the glutamate metabolism is a regulated metabolic state in the brain, affected by glutamic acid and L-Glutamate in the blood, problems with this metabolism may have a variety of negative effects, and can be helped with the proper prescription of nutrient medicines, particularly, Vitamin B6 (or the active P5P), niacinamide B3 (or inositol hexacotinate), and L-Glutamine. The GABA (gamma aminobutyric acid) system in the brain is well studied, and is correlated with modulation of stress and excitability. GABA is the chief neuroinhibitory transmitter in the central nervous system (CNS), and is synthesized in the CNS from glutamate, using L-glutamic acid decarboxylase and pyridoxal phosphate as cofactors in the GABA metabolism. GABA and glutamate are molecules that do not easily cross the blood-brain barrier, and are fluid in production and concentration in the brain, brainstem and spinal cord. While various drugs may affect the GABA system, healthy restoration of this valuable control of excitability in the brain is achieved with a more comprehensive strategy, providing bioavailability of precursor chemicals, improving neural cell membrane health and function, and modulating brain activity with stimulation. GABA receptors in the brain may be modulated with such common herbs as Kava and St. John's Wort, and GABA production may be stimulated with various foods, nutrient medicines, and herbs, including melatonin, curcumin (Yu jin and E zhu), Chrysanthemum (Ye ju hua), Artemesia (Qing hao), Salvia (Dan shen), Butterburr, Feverfew, and Boswellia (Ru xiang), as well as steel cut oats, shallots, corn, dried barleygrass sprouts, walnuts, ginger and tart apples. GABA modifiers include the herbs Valerian and Artemisia absinthia. A persistent treatment protocol utilizing these glutamate and GABA modifying herbal and nutrient medicines may prove very valuable to gradual improvement in tinnitus perception. The American Tinnitus Association has also noted that dysfunction of the benzodiazepine receptors on the GABA type A, and other GABAergic functions have been implicated in the pathology of the chronic, central CNS, subjective and idiopathic (no known underlying cause) types of chronic tinnitus. Abnormalities of these benzodiazepine receptors on type A GABA receptors are seen in benzodiazepine withdrawal syndromes, with chronic use of benzodiazepines, in stress syndromes, and various neurodegenerative and psychiatric conditions, such as Alzheimer's disease and schizoid affective disorder. Significant deterioration of affective function is seen in many patients suffering from more severe and chronic tinnitus, with symptoms of emotional dysregulation, anxiety, depression, fearful states, and stress-induced symptoms evident, and many experts have hypothesized that a GABA and benzodiazepine receptor dysfunction is part of this type of tinnitus syndrome. While the prescription of benzodiazepines have been shown to have a positive effect on some of these patients with a supposed benzodiazepine deficiency, many paitents and physicians are now wary of overprescription of benzodiazepines, and the occurrence of serious withdrawal and dependency syndromes with chronic use, as well as more immediate adverse health effects. Natural benzodiazepine effects may be achieved with use of such herbs as California poppy (Escholzia) and Magnolia (Hu pou), and modulation of the GABAergic system may be achieved with low dosage of 5HTP, melatonin, P5P, and St. John's Wort, as well as other anxiolytic herbs and supplements. Such understanding points to the need to adopt a holistic and restorative therapeutic protocol in cases of chronic idiopathic tinnitus. Current treatment protocol for tinnitus is based upon recent research findings as described above. Currently, the perception of tinnitus, mobility of the neck and posture, and anxiety and depression are all important aspects of standard therapeutic protocol. The department of Otorhinolaryngology of the School of Medicine at Louisiana State University published a review of tinnitus and biochemistry in 1999, and concluded that "Dietary, nutritional, chemical, hormonal, immunological, and stress factors are involved in neurootological problems and must be evaluated and considered in designing the treatment regimen for patients complaining of tinnitus." A variety of scientific studies meeting rigorous standards, and published in medical journals, as well as in PubMed, the database of the National Institute of Health in the United States, has found that various types of acupuncture therapy have significant success. Some of these studies are accessed below under information resources, and have been conducted throughout the world. Success with herbal and nutrient therapy has also been well studied in recent years in the West, and for a long time in hospitals in China. Of course, the herbal and nutrient therapies are based upon individual diagnostic needs and correct differential diagnosis. There are no one-size-fits-all herbal remedies, despite what some advertising claims. Proper prescription by a professional herbalist and nutrient physician is very important to insure success. A combination of therapies that is tailored individually and treats according to objective diagnosis is vitally important. Since the objective diagnosis is often unclear, and a diagnosis of exclusion is often the only diagnosis, treatment strategy may incorporate knowledgeable prescription, and some trial and error in these cases. All experts in the fields related to the study of tinnitus agree that a single therapeutic protocol is insufficient to relieve or cure this disease mechanism. Licensed Acupuncturists may utilize a number of therapeutic protocols to help the patient achieve their goals. There is no claim that acupuncture alone will cure tinnitus. Patients seeking treatment for chronic tinnitus should integrate a number of evidence-based therapies in an individualized treatment protocol, and the knowledgeable Licensed Acupuncturist and herbalist, or TCM physician, is an ideal choice to help guide this more comprehensive care. In Traditional Chinese Medicine (CIM/TCM), a number of treatments are combined to achieve a more comprehensive effect, including acupuncture, electroacupuncture, herbal and nutrient medicine, soft tissue mobilization (Tui na) with spinal balancing, and instruction in therapeutics when applicable. A 2012 study at the Affiliated Hospital of Tongren Polytechnic, in Guizhou province, China, randomized 120 cases of tinnitus into either acupuncture, or the combination of acupuncture with Tui na. In this latter group, clinical success was achieved in 70 percent of cases, with significant benefit seen in 98 percent. whereas the group receiving just acupuncture produced just a 45 percent rate of clinical success, and significant benefit seen in about 86 percent. The recurrence rates of symptoms after 3 months was also significantly better in the group receiving a combination of acupuncture and Tui na (spinal balancing). This study is cited below. The points used in the study were spinal jia ji and back shu points, plus SI19, SJ17, GB20, UB9, and UB10. While these short courses of acupuncture and Tui na were effective, the standard protocol in China would be to repeat this treatment, often in groups of 3 treatments, periodically, as needed for the individual. In addition, herbal and nutrient medicine could be utilized between treatments to achieve more comprehensive goals. Nutritional deficiencies and metabolic causes and contributors from nutrient deficiencies have been well documented for many years in the treatment of tinnitus. This does not mean that the patient necessarily has a poor diet, and the nutrient deficiency often occurs because of some chronic disease process and either increased metabolic needs or decreased absorption and assimilation of the nutrient chemicals. This subject can be quite complicated and knowledgeable assessment is important. Testing of nutritional deficiency is problematic, as mere circulating blood values may not reveal actual deficiencies. Common nutrient deficiencies found to be associated with tinnitus are Vitamin B12, zinc methionine, coenzyme Q10, niacin, magnesium, Vitamin B6, folic acid, and various minerals. These medicines are all beneficial, and present no side effects, and should be tried if the budget for treatment allows. The herbal chemical Resveratrol, extracted and standardized from the Chinese herb Polygonum cuspitdatum (Hu zhang) is also well studied and proven to provide significant benefits with clearing of oxidant stress and improved circulation and metabolism in the brain. Because tinnitus is a symptom of various disease mechanisms, and involves various types of tissue pathologies as well as a central nervous system hyperexcitability and perceptual dysfunction, finding the single therapy that will work for all patients, or that will even work by itself on a patient, is problematic. More and more scientific studies are revealing how various treatments could contribute significantly to the overall treatment protocol, though. 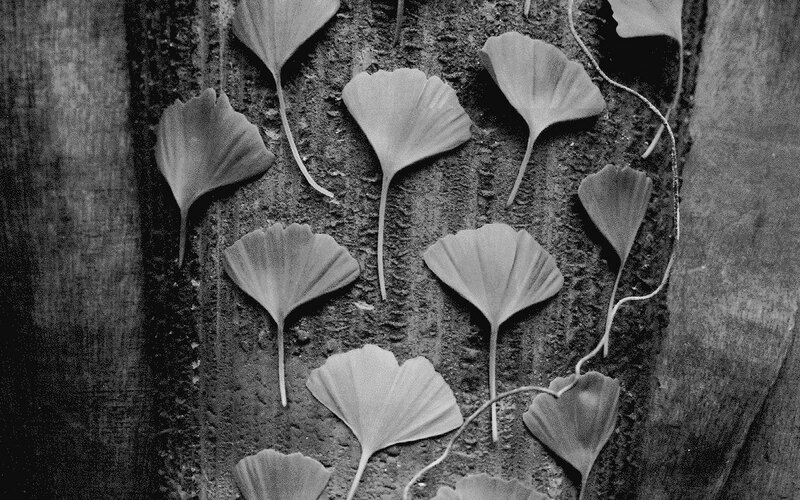 Researchers in 1998 in Torino, Italy, found that a significant percentage of patients with tinnitus of a vascular origin benefited from a combination of Gingko biloba, L-Arginine, and magnesium. For patients with ototoxicity induced by antibiotic use, which creates excess free radical oxidant accumulation and glutamate receptor dysfunction that leads to auditory hair cell damage in the inner ear, various antioxidants seem to have significant effect. Alpha-lipoic acid was studied at Duke University Medical Center and found to significantly attenuate the damage induced in laboratory animals from an aminoglycoside antibiotic. Acetyl-L-carnitine and R-lipoic acid have been studied and shown to present valuable antioxidant benefits for the brain. Researchers at the University of Michigan found that glutathione deficiency increased the susceptability of laboratory animals to inner ear damage. A reasonable conclusion would be that improved glutathione metabolism, as well as various antioxidant therapeutics, should be included in a comprehensive treatment strategy, but that it may take more that this in many patients with a chronic history of tinnitus to achieve success. This is why a more complex and multifactored therapeutic protocol, combined with acupuncture stimulation, is a reasonable choice for patients and physicians. To learn more about establishing a healthy glutathione metabolism, go to the article on this website entitled Glutathione Regulation. With the large array of antioxidant therapies available, choosing the most effective strategy in the realm may be difficult. Studies in recent years have explored the efficacy of specific combinations of antioxidants and some have achieved remarkable success. Clinical study at Padua University in Italy, in 2007, found that a combination of Alpha-GPC, high dose Vitamin C, Vitamin E, and beta carotene, with glycerophosphoethanolamine (GPEA), achieved remarkable reduction in malondialdehyde, a marker of antioxidant stress, and significant reduction in tinnitus (see study link below). Other prominent studies have found success with resveratrol, a chemical extracted from the Chinese herb Polygonum cuspidatum (Hu zhang), Co-Q10-H2, alpha lipoic acid, and zinc monomethionine. Persistence with antioxidant therapy is an important consideration, and most studies have supplied this course of therapy for at least 4 months. Potentiation of antioxidant effects could be achieved with acupuncture, herbal medicine, and other nutrient medicines to improve neural membrane health and clear toxicities that stimulate excess reactive oxygen species. Once again, success with a holistic therapeutic approach that is comprehensive is much more likely than a single therapeutic tool. An effective treatment strategy in Complementary and Integrative Medicine (CIM/TCM) for patients suffering from tinnitus involves individualized diagnosis and treatment plan, treatment of both the symptoms and the underlying causes, or diagnoses, and a combination of therapies. Treatment must address issues of nutrient imbalance, metabolic and hormonal imbalance, immunological issues, and stress factors. Stress factors include physiological stress from underlying disease mechanisms, immunological stress, and emotional and physical stress. A thorough approach may be essential to success. Various acupuncture strategies, herbal strategies, nutrient strategies, and even physiotherapies, may be needed in the individual treatment protocol. A knowledgeable Licensed Acupuncturist and Herbalist can provide an individualized and step-by-step holistic treatment protocol with short courses of frequent acupuncture stimulation and a more persistent course of herbal and nutrient medicines that is sure to improve symptoms and quality of life over time. The only way to stop a symptom such as tinnitus is to first improve the underlying dysfunctions that create the symptom, as well as receive neurological retraining as you gradually improve to reestablish the normal ignoring of the perception of unwanted sound and noise. With more severe cases of chronic tinnitus, we see that a number of comorbid conditions may occur, and holistic treatment with CIM/TCM may also significantly help alleviate these associated health problems as well.